One of the benefits of not blogging for well over a year is I've got a few nice cards to show off. Now I didn't buy a ton of stuff during my absence but the few things I grabbed are pretty cool. 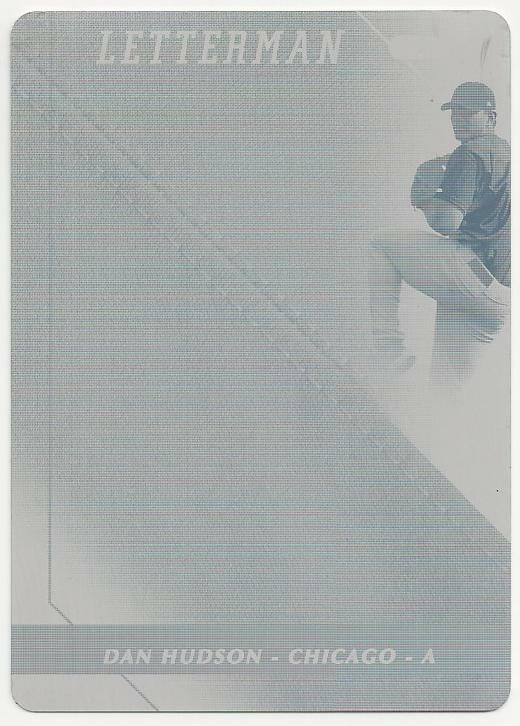 First up is this 2008 Razor Letterman Yellow Printing Plate for our Daniel Hudson collection. I got it earlier this year for a great price. Very nice! These really don't turn up very often so I'm glad you got a good deal. Also, welcome back! That's cool! I don't think I've ever seen a printing plate for a Letterman card. Welcome back! Sorry I couldn't come visit you this spring. Sweet printing plate, though!. Thanks, Zach! Gotta come back soon.